India in the spring flowers. As rain and floods sweep across the state it seems appropriate to discuss tick-borne diseases. Ticks thrive in moist, humid, lush environments, particularly following periods of rainfall. In winter and spring especially, dogs are at greater risk of becoming exposed to ticks during walks, hikes or even in their own backyards. 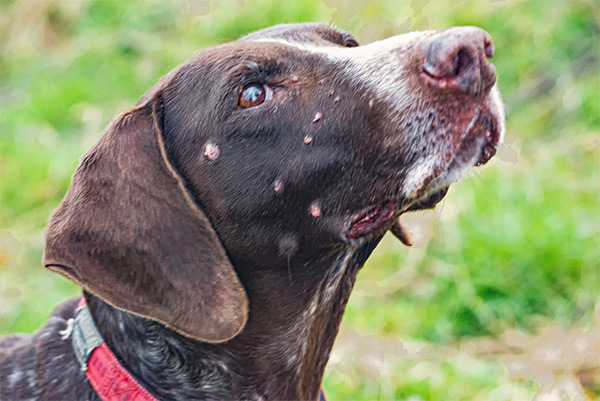 With certain ticks come certain diseases to which dogs (and people) are vulnerable. Different environments, depending on geographic location, harbor different ticks and hence different diseases. Four major tick-borne diseases effecting canines are Lyme disease, anaplasmosis, ehrlichia and Rocky Mountain spotted fever (RMSF). The main tick vectors carrying these diseases are the deer tick, the western black-legged tick, the American dog tick, the brown dog tick and the Lone Star tick. As a tick attaches to a dog’s skin to feed, it can transmit disease through its infected saliva. An infected tick must be adhered for at least 24 hours for most disease to transfer to the affected canine. Therefore, it is essential to check your dog routinely and remove any found ticks immediately. Remember that many of these ticks are extremely small, particularly in the juvenile stages, so look closely. The best way to remove a tick is with gloves and tweezers, grabbing the head of the tick as closely to your dog’s skin as possible without pinching the skin. Additionally, there are many “tick removal” tools available online. If part of the head or end of the tick is left behind, it should scab over and heal. Keep the area of the tick bite clean, and monitor daily. If you notice any heat, swelling, discharge or pain associated with the area, contact your veterinarian. General signs of tick-borne disease include fever, lethargy, joint pain and inappetance. These signs can vary greatly depending if the affected canine is in the acute or chronic stage of the disease process. Signs also vary between diseases, for example, some diseases can affect the kidneys, whereas others can affect different types of blood cells. Thankfully, when caught early, these diseases tend to respond well to long-term antibiotic therapy. Therefore, prompt diagnosis and treatment is of the utmost importance. Blood tests for diagnosis and disease monitoring will be suggested by your veterinarian. Prevention of tick adherence is the best form of tick-borne disease prevention. There are many products available for tick prevention which kill ticks when they attempt to latch to the dog. These products contain active ingredients which are harmful to insects but not dogs. Some of the more common types of products include collars, topical liquids and oral medications. 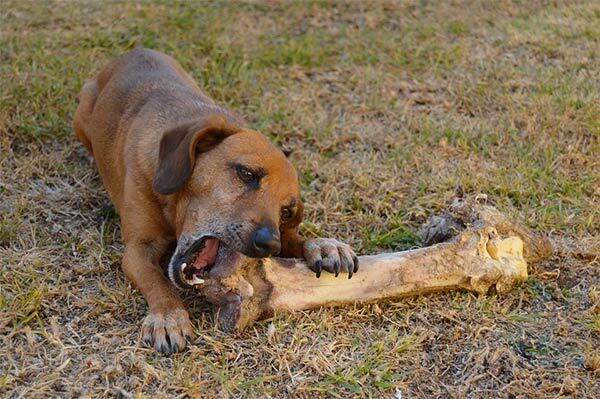 Discuss with your veterinarian which product is right for your dog. Most preventions are given once monthly and should be used year round.